of the commercial foundation, the National Aquarium Denmark – Den Blå Planet, co. reg. no. DK64050028. 1.1 The National Aquarium Denmark – Den Blå Planet is a non-profit foundation established in 1937 by Knud Højgaard, MEng. To support Danish scientific marine research and promote awareness of the object, methods and findings of this research, the founder built an aquarium in Charlottenlund Palace Gardens near the Danish marine research institute and established a foundation for this purpose. The Foundation has since driven this aquarium. 1.2 The Foundation’s aquarium building in Charlottenlund Palace Gardens was regularly expanded to meet the need for more space and more modern facilities. However, the possibility of further expansion was limited as the aquarium building was situated on listed property. 1.3 In March 2013, the Foundation moved its aquarium activities to a newly built aquarium building at Kastrup Harbour. The Foundation leases this aquarium building from the foundation Bygningsfonden Den Blå Planet. Establishment of the new aquarium building has been made possible by significant donations from Realdania, Knud Højgaards Fond and the Municipality of Tårnby. In connection with removal from the aquarium building in Charlottenlund Palace Gardens, the Foundation entrusted this aquarium building without charge to the Danish State. 2.1 The Foundation’s name is Den Blå Planet – Danmarks Akvarium (in English: National Aquarium Denmark – Den Blå Planet). The Foundation is domiciled in the Municipality of Tårnby. 2.3 The aquarium must comprise warm-water and cold-water sections that exhibit both freshwater and saltwater organisms. The cold-water section must exhibit a significant number of Nordic saltwater fauna, including fish and lower animals. This exhibition must be conducted under expert zoological guidance. 2.4 The animal exhibitions must be presented in a clear and lucid manner that not only gives the audience an impression of their beauty, but also gives laypersons an understanding of the biology of the various animals. 2.5 When fitting out the aquarium, special effort must be made to support learning to make the aquarium interesting for schools and other educational purposes in general. 2.6 Every effort must be made to ensure that the aquarium can support Danish marine biology research by making the aquarium’s animals and facilities available to research, provided that this can be done without disrupting the aquarium’s operations. 2.7 The aquarium must secure income by means of an appropriate admission fee, however, schools and other visitors for study or education purposes must be given a discount or free admission. In connection with activities that fall naturally within the Foundation’s aquarium activities, the aquarium may seek to procure funding to make the aquarium’s operations self-financing. 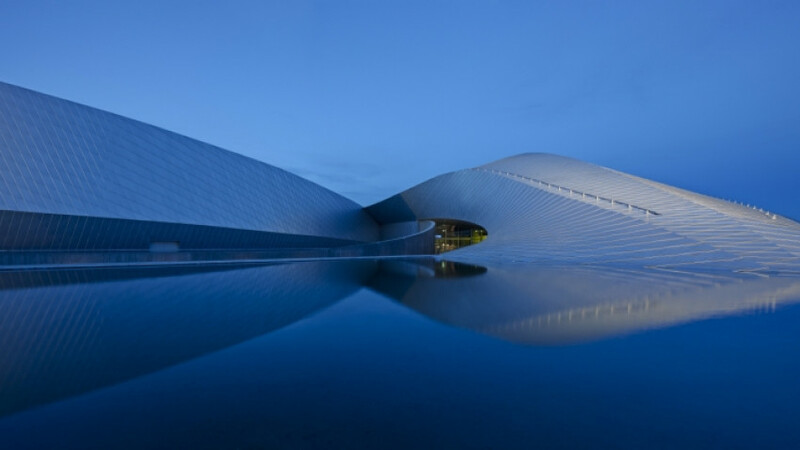 2.8 The aquarium activities may be driven in own or leased buildings in the Greater Copenhagen area. 2.9 The Foundation may form subsidiaries and refer its tasks in accordance with these articles of association to such subsidiaries. 3.1 The Foundation’s base capital as of 23 April 2015 has been increased by DKK 5,000,000 through a transfer of the Foundation’s distributable reserves. The base capital is henceforth DKK 5,600,000. 3.2 Special rights have not been granted to the founder or others. 4.1 The Foundation’s governance comprises a Board of Directors, which, as the Foundation’s highest authority, is responsible for the overall management, and a Management, which is responsible for day-to-day management and operations. 5.2 The Board of Directors of Knud Højgaards Fond may choose to transfer that foundation’s right of appointment pursuant to Clause 5.1 to another appointing entity, which likewise has a right of substitution. 5.3 The Board of Directors shall appoint an additional 1-2 members to secure the proper competences, cf. Clause 5.5. 5.4 In addition, the Board of Directors also comprises any employee-appointed board members elected in accordance with current applicable rules in the Danish Commercial Foundations Act and the Danish Companies Act. 5.5 Upon the appointment of members of the board pursuant to Clauses 5.1 and 5.3, an effort must be made to ensure that the combined board members possess competences within as many as possible of the following areas: business practices, biology, building and construction, marketing and the operation of cultural institutions and experience-based activities. 5.6 The chairperson of the Board of Directors shall inform the relevant appointing entities when a board member is to be appointed pursuant to Clause 5.1. With a view to ensuring the greatest possible fulfilment of the target set out in Clause 5.5, the chairperson of the Board of Directors shall inform the appointing entity of the competences the board member should, in the opinion of the Foundation, possess in relation to the Board of Directors’ current composition. 5.7 The members of the Board of Directors are appointed for a period of 3 three years. Re-appointment is possible. No board member may sit on the Board of Directors for more than 12 consecutive years. The Board of Directors may, in special cases to ensure continuity or specialist expertise, depart from this principle with grounds that must be entered into the record. 5.8 If a member of the board appointed in accordance with Clause 5.1 or 5.3 resigns prior to the end of the election period, a new member must be appointed as quickly as possible for the remainder of the resigning member’s term. 5.9 The Board of Directors elects their own chairperson and vice-chairperson for a period of one year. The Board of Directors sets out in its rules of procedure the terms and conditions for the execution of its duties. 5.10 A member of the board must resign at the latest at the first annual meeting after the member’s 70th birthday. The Board of Directors may, if there are special circumstances, depart from this principle and approve a time-limited extension with grounds that must be entered into the record. Moreover, members are obliged to resign from the Board of Directors if the board member concerned is unable to perform his or her duties as a member of the board due to permanent illness or other special circumstances. 5.11 At the time of amendment of these Articles of Association in 2015, the terms for the 3 board members appointed by Knud Højgaards Fond, the Royal Danish Academy of Science and Letters and the Danish Ministry of Higher Education and Science terminate at the annual meetings in 2017, 2016 and 2015, respectively. The terms for the 3 members of the board appointed by the three aforementioned members of the board terminate at the annual meetings in 2015, 2016 and 2017, respectively. When the first of the three aforementioned seats becomes vacant, Realdania shall appoint a board member. When the second of the three aforementioned seats becomes vacant, the Mayor of the Municipality of Tårnby shall appoint a board member. When the last of the three aforementioned seats becomes vacant, the other members of the board shall appoint a board member. Persons who were members of the board at the time of the amendment of these Articles of Association in 2015 must resign at the latest at the first annual meeting after the member’s 75th birthday. The maximum term limit of 12 consecutive years, cf. Clause 5.7, Item 3, shall, in relation to a person who was a member of the board at the time of the amendment of these Articles of Association in 2015, be calculated from the date of the board member’s appointment to the Board of Directors, or at the earliest from 2006. 5.12 The Board of Directors may make decisions when a quorum comprising half of the board members is present. The Board of Directors makes decisions by a simple majority vote. In the event of a tied vote, the chairperson – or the vice-chairperson in the absence of the chairperson – has the deciding vote. 5.13 The Board of Directors must keep a record of its deliberations. This record must be signed by every board member present. Any member who is not in agreement with the Board’s decision is entitled to have his or her opinion entered into the record. 5.14 Each member of the board may receive an annual remuneration, which must be set in accordance with the nature of his or her duties and the scope of his or her work. The annual remuneration is set by the Board of Directors at the annual meeting whereupon the annual accounts are approved. 6.1 The Board of Directors appoints a CEO to manage day-to-day operations. The CEO must follow the guidelines and instructions set out by the Board of Directors. 6.2 The CEO serves as secretary for the Board of Directors and attends its meetings without the right to vote. 7.1 The Foundation shall hold a special meeting of the Board of Directors (the annual meeting) every year before 31 May, where the Board approves the Foundation’s annual report. 7.2 The meeting shall take place in the home municipality of the Foundation or another location in Denmark as decided by the Board of Directors. (i) Review of the past financial year by the chairperson. (ii) Approval of the Foundation’s annual report. (iii) Decision about the use of profits to consolidate the Foundation or to cover any losses in accordance with the approved annual report. (iv) Election or re-election of members of the board and information about any newly appointed members. (v) Setting of any remuneration for the Board of Directors for the coming year. 8.1 The Foundation is bound by the joint signatures of the CEO and one member of the Board of Directors, by the joint signatures of two members of the Board of Directors or by the joint signatures of the entire Board of Directors. 9.1 The Foundation’s financial year is the calendar year. 9.2 The Foundation’s accounts must be audited by a state-authorised public accountant appointed by the Board of Directors for a period of one year. 10.1 These Articles of Association may be amended by a decision made by the Board of Directors with the support of at least 2/3 of the members of the board, provided that consent has been obtained from the Division of Foundations of the Danish Department of Civil Affairs. 10.2 However, decisions may not be made to amend the primary mission of the aquarium, the public exhibition of animals and support of research, cf. Item 2. 11.1 In case of the Foundation’s dissolution, the Foundation’s assets must be allocated to another non-profit foundation or association domiciled in Denmark whose purpose as a non-profit organisation is similar to the purpose of this Foundation. Thus approved by Royal Assent 1937 and amended on 19 March 1957, 15 June 1962, 10 November 1966, 17 November 1982, 25 June 1992, 1 December 2000, 15 August 2006, 17 August 2007, 1 February 2008, 3 October 2011, 26 September 2013, 25 February 2014 and 8 March 2016.